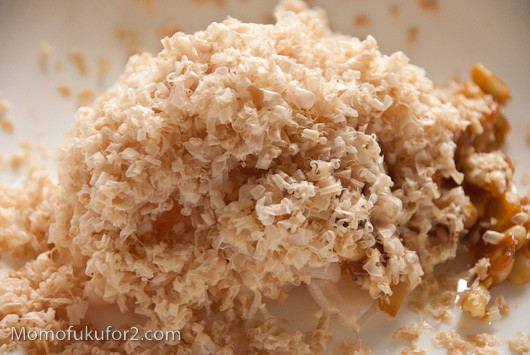 The shaved foie is the one dish that you can expect when eating at Ko. Everybody talks about it and Chang himself thinks it’s the dish “we’ll never be able to take off the menu.” The ice cold delicate flakes of foie are reminiscent of shaved ice: a giant fluffy pile of deliciousness that melts the instant it hits your mouth. Lychee are one of my all-time favourite fruits. 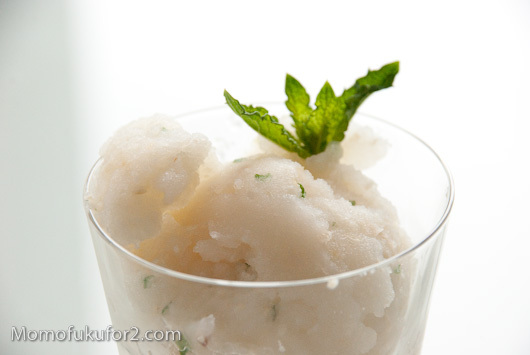 Fresh is better than canned, but I found a dusty can in the back of my pantry and decided to make some easy lychee sorbet.